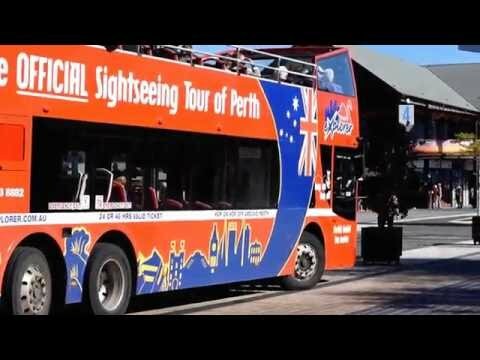 CITY OF PERTH: There is plenty to see, come and explore in Perth City! Perth is known to be the place with endless sunshine and stunning beaches supplied with astonishing sunsets over the ocean. The sunniest Australian capital combines natural beauty with laid-back lifestyle and plenty of possibilities for cultural and leisure activities. Perth is the fourth most populous Australian capital city with population around two million people, belonging to the state of Western Australia. Majority of the metropolitan area stretches on the Swan Coastal Plain between Indian Ocean and Darling Scarp. The city is also further divided into smaller local governmental areas, each consisting of multiple suburbs. The city is home to one of the world’s largest inner city parks – the Kings Park and is proud to have great public transportation system connecting all city attractions. Perth also belongs to one of the most isolated cities from any other city worldwide. Nevertheless, despite that it has been previously recognised as one of the top most liveable cities in the world. Perth’s tourism is highly contributing to the state’s economy. Western Australia capital dominates in business and also serves as governmental administrative centre. The city is proud to offer four public ones and one private university, with the University of Western Australia as leading research institution in Australia. City’s major art concentration is around the Perth Cultural Centre, including many galleries and museums. Perth is also internationally know to be home to Western Australian Academy of Performing Art which brought up many internationally successful actors. In regards to sport, Australian Rules Football is the most popular sport in terms of spectators there. Other popular sports include cricket, soccer or basketball and rugby union. The Western Australian Museum: The Western Australian Museum is a State museum situated in the Perth Cultural Centre (also having five other branches in Albany, Geraldton, Kalgoorlie-Boulder, Maritime/Fremantle and Shipwreck Galleries/Fremantle). The museum was established in 1891, initially as a Geological Museum. Today it offers broad range of both permanent and travelling exhibitions focused on Western Australia’s fauna and flora, local Aboriginal people and their culture, meteorites, minerals, megafauna, biodiversity or even prehistoric era and dinosaurs. The Art Gallery of Western Australia: The Art Gallery occupying three heritage-listed buildings within the Perth Cultural Centre was established in 1895. The State Collection showcases fine exhibitions of both historic and contemporary Australian and international art, including Indigenous traditional art, Indian and Asian craft work or art and design from Western Australia. Scitech is an interactive science museum located in West Perth. The Scitech Discovery Centre also includes planetarium and thus is an exciting way to explore science, technology, engineering and mathematics through more than 150 interactive exhibits. The museum opened in 1988 and is aiming mostly to children up to 12 years old and its mission is to raise the awareness and interest in all above mentioned disciplines. The Perth Zoo plays an important role in Western Australia’s community thanks to involving in broad spectrum of conservation actions such as educational programs, wildlife rehabilitation and research projects. The zoo itself was opened in 1898 and while covering area of around 17 ha, it is home to more than 170 animal species and 1 300 animals and also includes a botanical collection. The Aquarium of Western Australia: The Aquarium of Western Australia belongs to one of the top attraction in the region. The aquarium was initially called the Underwater World in Perth and was built in 1988. 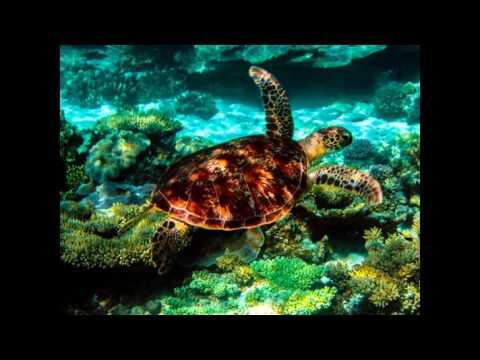 Its main focus is on marine animals of Western Australia Coastline, stretching from the tropical coral reefs down to the colder Southern Ocean waters. AQWA has five different sections; Far North, Shipwreck Cost, Marmion Marine Park, Perth Coast and Great Southern Coast. Some of the main features are large coral reef exhibit, the Danger Zone (featuring dangerous marine life such as sea snake, box fish or blue ringed octopus) or almost 100 m long underwater tunnel which also holds the primacy of being the longest one in Australia. The Perth Mint: The official Australia’s bullion mint in Perth was established in 1899 as a Britain’s Royal Mint branch in order to ship coins overseas and thus supply the British Empire. In 1970, the Government of Western Australia took over control and the facility has been supplying precious material ever since. The Perth mint is today still responsible for refining and providing services in the Australian gold industry. Hillarys Boat Harbour: Hillarys Boat Harbour stands for both marina and popular tourist area at once. Located within a retail shopping precinct, the iconic property is a hub for every visitor seeking various attractions such as the The Aquarium of Western Australia, the Hillarys Yacht Club, the Hillarys Harbour Resort or simply a beautiful escape with stunning parklands and connection to other exciting destinations. Adventure World: Initially „Edgley’s Adventure World“ in Perth’s Bibra Lake is a theme park and top tourist site. The park has been opened since 1982 and is located on the original industrial trash dump site. Some of the main attractions of the park include the medieval Dragon’s Kingdom, the Aqua Super 6 Racer or The Shotgun raft waterslides. Perth Arena :Another one of Australia’s fine and world class venues is an architectonic jewel with breathtaking design features based on the Eternity puzzle and modern technical equipment. The Area with capacity up to 15 000 people was opened in 2012 with a concert of Elton John. Perth Arena is hosting many top sporting events and has also served as a stage for world’s top performing artists. The Barracks Arch:The historical building of Barrack Arch is situated at St George’s Terrace. This Perth’s iconic building was built in 1866 and served originally as an entrance to the Pensioner Barracks building. The barracks was established to house the Pensioner Guards, retired soldiers with their families who came to Australia between 1850 – 68. In the beginning of the 20th century, the buildings within the area were converted into offices and later on, the government decided to demolish the whole complex. After public uproar, it was decided to proceed with the demolitions but to keep the Arch as it is a significant heritage site for both Perth and Western Australia. The Army Museum of Western Australia :Showcasing material from the evolution of Western Australia’s army from the pre-federation history till today, the Army Museum of Western Australia has a huge historical value. The Army Museum is located in the historic Artillery Barracks in the City of Fremantle and was established in 1977. The museum’s collection includes numerous galleries reflecting the involvement of army in all major conflicts (including WW I and WW II, the Korean War, the South African War and also some recent operations) and the military service in WA throughout the history, which are all reflected on museum’s displays. The Perth Concert Hall: A venue with one of the greatest acoustic in the southern hemisphere – that is the Perth Concert Hall. The concert hall located in Perth’s CBD was opened in 1973 and today serves mainly as home to the West Australian Symphony Orchestra. Apart from that, it hosts numerous performances and diverse events throughout the whole year. The building itself is an example of the Brutalist style with white concrete features and opaque interior. Government House: The Government House in Perth was built (largely by convicts) between 1859 – 64 and today serves as the official residence of the Governor of Western Australia. The building is an important heritage site and, thanks to its beautiful surrounding gardens and later added ballroom, belongs to one of the state’s most important properties. Wesley Church: Wesley Church is one of the most important historical colonial buildings in Perth, build in Gothic Revival style architecture in the 19th century. It is one of the oldest churches in the city and its main features are long lancet windows, one tall corner spire and unique Flemish Bond style brickwork. Barrack Square: The open public square and urban park located on the bank of the Swan River is most known for being a ferry terminal. Barack Square was established in 1907 and thanks to the park area, multiple cafes and restaurants and also jetties it is also a popular tourist spot. The square is soon about to undergo a development including some changes to the area. St Georges Cathedral: The Anglican church St Georges Cathedral is located on St Georges Terrace in the heart of the city of Perth. The history of this building traces back to 1888. This architectural jewel was constructed of handmade bricks. This, together with outstanding stained glass windows, peal of eight bells and the West organs, makes the cathedral a unique historical site and a place with special interest. 1937 initially for mainly residential purposes. Today, the arcade with its beautiful design in Tudor style is a popular tourist attraction as well as part of the state heritage. Murray Street : Murray street is one of the important roads in Perth’s CBD. Situated in the heart of the city, it is one of the most popular shopping streets in the Western Australia’s capital. The pedestrian mall creates the major part of the street. Other important features include the St Mary’s Cathedral, nearby state library and various museums and galleries, all making Murray Street an important entertainment centre. Heirisson Island: Heirisson Island sits on the Swan River, between East Perth and Victoria Park. It is probably the closest you get to the ‘wildnerness’ in Perth City as rather than being neatly maintained like most other parks, for the most part, it is allowed to ramble wildly in its natural habitat. The main attraction of Heirisson Island is the grey kangaroos that tend to gather by the gated area. Visitors can pet but not feed them. Apart, there is a nice walk to be had around the island, making the place a nice little addition to any planned day out.